HubSpot is an industry-leading customer relationship management (CRM) system that gives businesses a way of managing sales pipelines, though there are many great alternatives. We compared dozens of CRM software to discover the six best HubSpot alternatives that are affordable, easy-to-use and have robust capabilities to help improve your organization and workflows while driving sales. Freshsales (Best Overall) Businesses that want a customizable and well-rounded CRM at an affordable price. Zoho Product-based businesses wishing to integrate social media activity into their CRM system. SuiteCRM Businesses with large teams looking for a robust, but free, CRM platform with unlimited users. Really Simple Systems CRM Startups and small businesses looking for a free and easy-to-use CRM platform. Bitrix24 Businesses with high call volume looking for a free CRM with an integrated call center. Insightly Businesses with standardized sales processes or recurring projects and/or use G Suite. 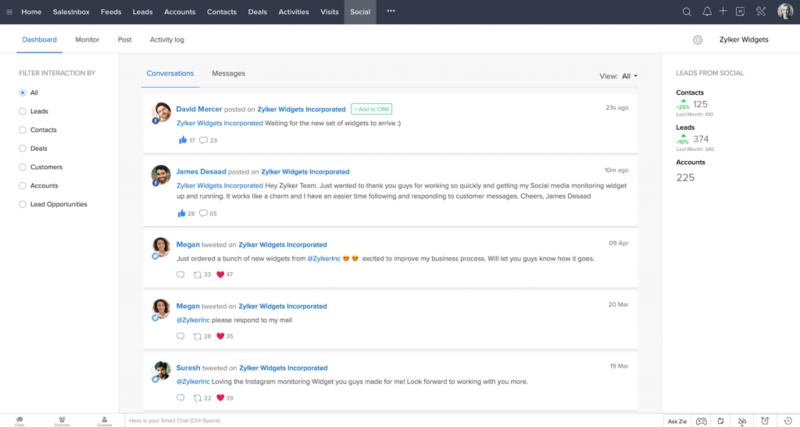 HubSpot is one of the most popular CRM platforms on the market. It was originally designed for startups and solopreneurs and has grown tremendously to offer powerful solutions for large enterprises. Its starring features are their easy-to-use interface and email tracking tools, although HubSpot does lack workflow management features that other CRMs on our list have. HubSpot is one of the first CRM systems that businesses think of when considering CRM software. However, there are several great HubSpot competitors, giving businesses many great alternatives. Businesses using a CRM for workflow management and who have more than 1,000 contacts will likely find a better alternative to HubSpot. We reviewed HubSpot competitors and found the best alternatives that are equally as powerful and better fit the needs of small businesses. Customer satisfaction: We reviewed what users had to say about each CRM to find options that are highly rated and considered the best CRM systems from those who have used them. Considering the criteria above, we determined that Freshsales is the overall best HubSpot CRM competitor for small businesses. Freshsales is an affordable and well-rounded CRM with a number of features comparable to HubSpot, including a user-friendly design, a high degree of customization capabilities, appointment and lead management and more. It is particularly good for businesses with longer sales cycles, similar to HubSpot’s upgraded version. Freshsales is an all-encompassing CRM designed to give businesses one central place for managing leads to drive sales productivity. It is designed to support both short and long sales cycles, making it a good option for businesses no matter the length of their sales cycle. It also allows for sending calls and emails from within the platform to manage sales and leads better in one centralized place, making it great for those with long, complicated sales cycles and businesses with remote teams. Freshsales has a basic free option that gives you unlimited users and unlimited contacts. Paid plans start at $12 per month, per user for advanced features such as deal management and data analytics. It has four paid plan options that increase in features and price (up to $79 per month, per user). Sprout is the Freshsales free plan. It provides the essential CRM features such as contact management, sales pipeline management and web-to-lead capture. It also includes a phone dialer and lead scoring to prioritize and reach contacts better. The free plan does lack more comprehensive features found in its paid plans such as email tracking, customization capabilities, configurable report and more. Sprout is good for businesses looking for a basic contact and sales pipeline management CRM with the opportunity to use a CRM that can grow with your business. The Blossom plan costs $12 per month, per user. It has all the same features as the Sprout plan, but with the addition of bulk email templates, email tracking and opportunity management. It lets users place calls directly through the platform for better call log and activity tracking. This plan does not include team management as its higher-priced tiers do. This makes it a better solution for businesses with small or independent sales teams sending/making a high volume of email and calls. Garden is $25 per month, per user and includes all features of Blossom with the major difference being team management. The ability to automate lead assignments helps teams better manage incoming leads, while configurable reports allow management to track performance more easily. This plan does not include advanced customization features, such as custom sales activities. Garden is a good choice for businesses that have a team and a standard sales pipeline. The highest pricing tier for Freshsales is likely too expensive for most small businesses and includes less important features like internet protocol whitelisting. Freshsales lacks some features that help with managing inventory systems. For example, you cannot currently issue quotes, manage orders or submit invoices like is possible in other HubSpot competitors. Pricing books are also something Freshsales is missing, meaning it might not be the best choice for businesses with catalog-style pricing or those looking to manage large inventories through its CRM platform. Freshsales is a highly rated CRM with hundreds of reviews averaging 4.7 out of 5 stars. Users frequently note that they like the way Freshsales displays its entire sales process, allowing them an easy way to visualize it. Users also note that the system is user-friendly and easy to customize. On the other hand, its standard reporting tools aren’t overly robust. Read reviews in our Freshsales Review page. Find Freshsales online to get more detailed information about what it offers. It’s a great choice of CRM for small businesses as its easy-to-use interface doesn’t require CRM expertise and is easy to get up and running. It is a good long-term option you can grow with given its capability to manage long sales cycles and affordably upgrade plans. Freshsales is always free, but you can also try any of its plans at no cost with its free 30-day trial. Zoho is an all-in-one office suite CRM that provides a great system for small businesses heavily using social media. It covers all bases from contact, lead and order management with the unique ability to incorporate social media engagement. This gives advertisers the ability to track social media relationships from Facebook and Twitter through the CRM system. Zoho has a basic free plan that allows for up to three users and includes the standard CRM features of contact and opportunity management on top of the social media integration. Upgraded plans range from $12 to $35 per user, per month, providing additional features and customization capabilities to suit any business. Zoho offers a free plan for up to three users that includes standard CRM features such as contact and lead management, call logging and email tracking as well as the unique inclusion of social tracking. This allows businesses to track their social media activity in their CRM. The limitation of the free plan is that it doesn’t allow for advanced customization or configurable dashboards. This makes a good option for businesses using social media as part of their lead generation or sales pipeline who have a standard sales process that does not require CRM customizations. The Standard plan costs $12 per month, per user and includes all features of the free plan, but with the ability to customize fields and configure dashboards and reports. It is a good solution for businesses looking to manage leads from social networks, but who need to customize the CRM to fit their sales process. The Professional plan is $20 per month, per user for all features of the Standard plan, plus additional features such as automatic lead assignment routing, automated follow-up rules and product management. The automation features of the professional plan help streamline the sales process and the product management capability is ideal for product-based businesses, such as those in e-commerce. While likely too expensive for small businesses at $100 per user, per month, the Enterprise plan offers additional advanced features such as predictive AI and customizable modules and buttons. 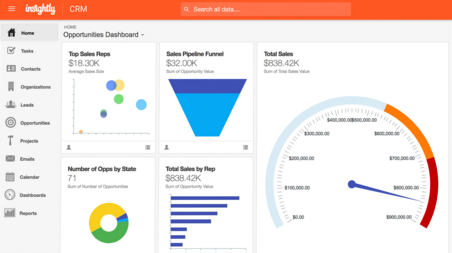 Zoho lacks a visual sale pipeline display, which many users find helpful to identify their sales performance easily and quickly with HubSpot. Zoho is also not the most user-friendly when it comes to customizations, creating a steeper learning curve for new users. It also does not have a built-in project management capability, so that should be considered when deciding if Zoho is right for you. Users like Zoho for the ability it gives them to manage contacts easily, foster leads and utilize automated email marketing. It is often noted that getting Zoho’s data import makes building a new account easy. However, its technical support could use some improvement, and Zoho does offer the most user-friendly interface for those new to CRM systems. Read reviews on our Zoho Review page. Zoho is particularly good for those utilizing social media advertising that do not plan to use a project management system within their CRM. With free plans and the option to upgrade, Zoho grows with your business. Get started with your free account, or try out an upgraded plan with its free 14-day trial. 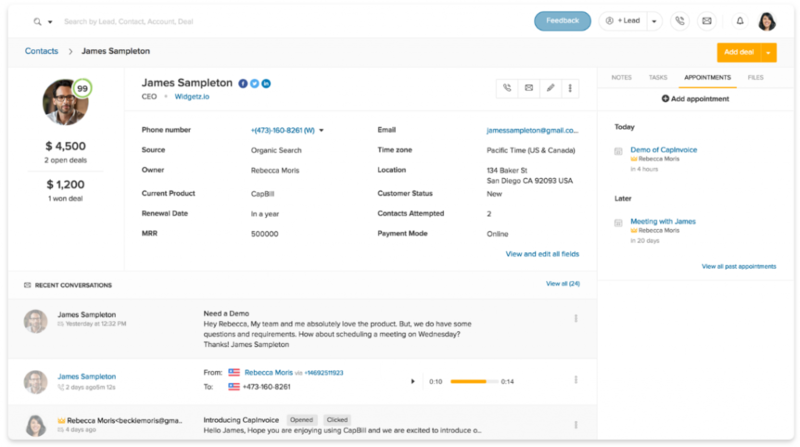 SuiteCRM is an award-winning free and open-source CRM platform. It gives small businesses the opportunity to use a comprehensive CRM system at no cost, while also providing enterprise-level features comparable to major paid CRMs such as HubSpot. SuiteCRM is best for businesses looking for a free CRM for their sales, marketing, information technology and customer support teams to manage contacts and to drive more sales. 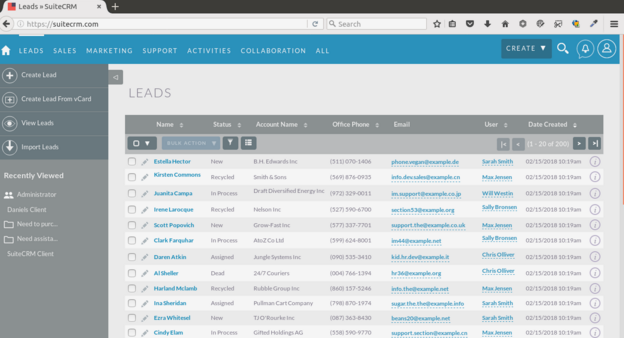 SuiteCRM is an open-source CRM, meaning it is completely free to download and use. The only caveat is that using support can cost you. Short of using a great deal of support, SuiteCRM is financially very practical with its à la carte-style support costs, while also having a user forum that can remove the need for support altogether. 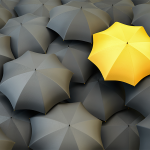 SuiteCRM offers one pricing tier that is free and comprehensive. It includes all commonly found CRM features such as contact management, lead and pipeline management, call and email tracking, customization and opportunity tracking. It can create, track and issue invoices, schedule and record meetings, generate real-time reporting and more. SuiteCRM offers a robust offering without the price tag, making it a great option for businesses with large teams. Being an open source CRM, SuiteCRM is hosted on your server or cloud instead of a third-party server. SuiteCRM is also missing free customer support and, while it has a great user forum where users actively post questions and help one another, the lack of free support can be challenging for users who lack a certain degree of tech-savviness. Businesses who often depend on support for assistance should consider another Hubspot competitor. SuiteCRM users frequently note that they like how often SuiteCRM updates and continuously improves the product. While other CRM platforms offer a range of plans that allow a business to grow with them, SuiteCRM is growing with you. Users like that it is free to use and find the forum participants to be a supportive and helpful community. Visit SuiteCRM online to learn more about what sets it apart from other major CRM platforms like HubSpot and the reasons it wins awards. Even without a financial investment involved in using the company, it offers free demos so you can get a better idea of how SuiteCRM works, and if it is right for you. Really Simple Systems CRM is an easy-to-use, cloud-based CRM software that was designed for business-to-business companies and small businesses. Its pricing is à la carte, making it a good option for those who need only certain features and do not want to pay for additional features they won’t use. It has a number of instructional videos available as well, making it a terrific option for those new to CRM systems that lack technical expertise. Really Simple Systems has a free base plan, which allows for up to two users and includes basic features such as contact management, as well as product and pricing books with up to 100MB of storage. Users can upgrade to paid versions starting at $14 per user, per month for additional features and storage. Really Simple Systems offers an entry-level free plan that gives access for up to two users, 100 company accounts and 100MB of storage. It includes standard CRM features such as lead and contact management, as well as email and online chat support, sales automation and customization options. The main limitation of the free plan is the amount of space. It is a good option for businesses with only one or two users who do not need advanced reporting or a large amount of storage. The Starter plan costs $14 per month, per user for 1GB of storage and 1,000 company accounts. It includes all of the features of the free plan plus its Two-Way MailSync. This keeps a record of all email communications, both incoming and outgoing and stores it in the customer’s contact file, giving businesses the ability to better monitor leads and foster sales. If you have more than 1,000 company accounts or require more than 1GB of storage, you will need a higher priced plan. Another thing the Starter plan is missing is the ability to control user permission levels. This can be useful for managing large sales teams in varying roles. The Professional plan costs $30 per month, per user for 5GB of storage and up to 5,000 company accounts. It includes all features of the Starter plan such as the Two-Way MailSync and contact management, plus the ability to set user permission levels. Large enterprises or businesses with large sales teams benefit from this option as access can be adjusted to suit individual roles. If you have more than 5,000 company accounts, Really Simple Systems also offers the Enterprise plan for $46 per month, per user for unlimited company contacts and storage. Its plans give businesses the opportunity to grow with them and are a superb choice at all plan levels for businesses with large sales teams. Really Simple Systems is missing a couple of common features some types of businesses find really useful, such as a mobile app for on-the-go CRM management as well as call tracking. 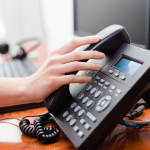 This means it may not be the best choice for businesses whose sales process involves a high volume of calls or those who travel frequently and need to be able to access the CRM outside of the office. Instead Bitrix24 could be a better Hubspot competitor for those with high call volumes. Really Simple Systems users note that the CRM has a good user interface that is easy to understand and use, making it a good choice for those new to CRM platforms and startups with little time to allocate to learning a new system. Users note that they wish the free version included more features and/or more users and that some had to switch CRMs as their business grew out of Really Simple Systems CRM. 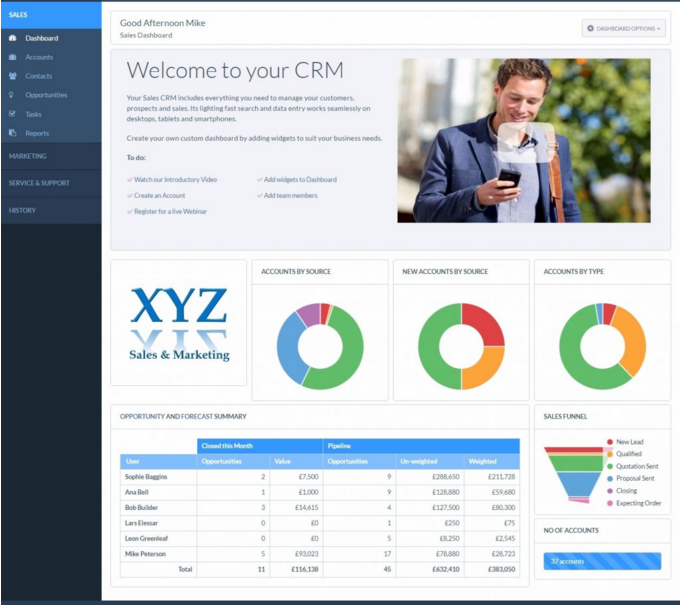 Really Simply Systems CRM customer view. Find Really Simple Systems CRM online to learn more about what it offers and if it’s a good fit for your business. If you’re looking for an affordable and easy-to-use CRM system and do not have extensive phone sales calls and do not need to access your CRM on the road, it’s likely a good solution for your needs. Try its free version, or test out its paid plans with a free 14-day trial. Bitrix24 is a comprehensive CRM platform that helps drive high-volume sales pipelines, best suited for call centers. It is considered to be more than a CRM; it is a collaborative platform that combines lead management, project management, time management, social media, mail, calendars and more. It is a great option for businesses looking for a clean CRM interface that have a high volume of sales calls as it has great call tracking and lead interaction tracking. Bitrix24 has a free basic CRM plan that allows for a generous 12 users along with 5GB of storage space. Users can upgrade to paid plans starting at $39 per month for 24 users and 24GB. Plans go up to $199 per month for unlimited users, storage and features. Bitrix24 has a free plan with a generous maximum number of 12 users. It includes 5GB of storage, leads and contact management, invoicing, sales reports and funnels, social integration and more. What sets it apart at this price point is its free call tracking and call recording for up to 100 calls per month, making it an ideal CRM for businesses who have a large number of sales calls as part of their sales funnel. If you want more than 100 calls recorded per month, you’ll want to jump up to the Plus plan. Also, the free plan doesn’t include automation features, which can help save a business time and money by streamlining the sales process. The Plus plan costs $39 per month for up to 24 users. This is very affordable compared to most CRMs that charge on a per-user basis. The Plus plan also includes unlimited call recording and 24GB of storage. Another feature it includes is marketing automation options for leads only. The Plus plan is ideal for businesses with a high volume of sales calls they want to have recorded who have 24 users or fewer. Those with more than 24 users will want to jump up to the Standard plan. The Standard plan costs $99 per month for up to 50 users. This equates to under $2 per user, per month, which is an extremely affordable rate for a premium plan. This also includes 100GB of storage, all the features of the Plus plan, as well as marketing and advertising automation capabilities and up to 10 different sales pipelines. This is very valuable to businesses managing varying sales pipelines. When working in a call center, the record and time management features of the Professional plan can help improve productivity. At $199 per user, per month, however, the cost is likely not worth the additional functionality. Bitirix24 has a laundry list of features, making it difficult to say that it’s missing something, though with so many options it can be difficult to find the feature you’re looking for. Also, tech support isn’t available outside of standard business hours, which can be a challenge for users experiencing problems. For perspective, HubSpot’s support can be limiting, too, with support tickets that can take 24 hours to receive a response. Bitrix24 has a good average user rating around 4 out of 5 stars across a number of review sites. Users frequently comment that they like how Bitrix24 has so many features and gives them a centralized place for customer relationship management, as well as project management, time management and human resources management. Users also commonly noted that its tech support can be slow to respond and difficult to get a hold of. Bitrix24 is a great all-in-one solution for managing multiple areas of the business in one centralized location. Businesses looking to reduce the number of programs they use with a user-friendly interface and robust platform should choose Bitrix24. Get started with your free Bitrix24 account today. 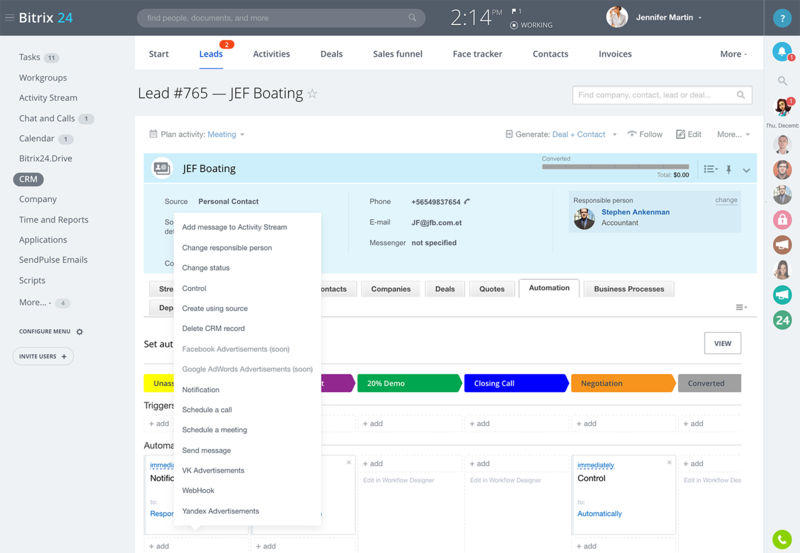 Insightly is a CRM platform that acts as a hybrid with strong built-in project management tools and functionalities, notably including Google G Suite integration. Not only does Insightly help businesses better manage sales pipelines with lead and contact management, but it also provides businesses with a way of managing projects. Businesses that are managing recurring project-based tasks and sales will find Insightly to be a great CRM. Insightly offers a basic, no-frills plan for free for up to two users, which includes the basic CRM and project management features. Upgraded plans range from $29 to $99 per month, per user for additional features such as more custom fields, a higher volume of tracked emails permitted and additional storage. Insightly offers an entry-level plan that is free for up to two users. It includes standard CRM features such as contact management and sales pipeline tracking. What makes it unique is that it also offers task and project management. This helps businesses not only manage sales pipelines but projects as well. The free plan lacks email tracking, automated lead assignment and the ability to customize sales processes. Businesses with standard recurring events that do not need email tracking will find Insightly to be a good CRM fit. Insightly’s Plus plan costs $29 per month, per user, making it one of the most expensive on our list, yet less expensive than HubSpot’s premium plans. It includes 10GB of storage and includes features the free plan doesn’t, such as email tracking, automated lead assignment, the ability to customize sales processes and calendar sync. The Plus plan doesn’t include lead assignment rules, making it less user-friendly for larger teams. The Plus plan is a good option for solopreneurs and highly independent sales representatives. The Professional plan costs $49 per month, per user with 100GB of storage. The plan is good for those sending mass amount of emails and a high volume of contacts (up to 250,000). It also adds the ability to customize dashboards, tailoring the CRM better to the needs of individual businesses. The Professional plan is an ideal plan for business managers who are looking to track project management tasks and send email communications in bulk. The Professional plan doesn’t include unlimited storage, which is available in the Enterprise plan for $99 per month, per user. Insightly is great at what it does, but it is missing some capabilities that make HubSpot a well-rounded choice for the average business. For example, Insightly does not have product statistics, nor does it have the ability to manage sales quotes. This means it’s not an ideal CRM platform for businesses in the retail industry or industries like consulting that involves a large number of quotes as part of the sales process. Users like Insightly’s ability to integrate with G Suite and Outlook better fits a business’s existing ecosystem. Users frequently note that Insightly is great for managing sales and project pipelines. A common negative comment was that the interface isn’t user-friendly and could be improved upon, although once users are used to it, they say it is easy to navigate. Insightly is a great tool for businesses that manage recurring projects and want a CRM platform that allows them to continue managing relationships after the close of a sale. Beyond Insightly’s free basic plan, it also offers free demos to give you a better idea of whether or not its CRM is right for you. It also offers a free 14-day trial of any of its upgraded plans. HubSpot was once the go-to CRM platform for startups and small businesses, but as they’ve grown into a CRM that is better aligned for enterprise-level solutions, the number of great Hubspot competitors has grown, too. The success of a CRM platform comes down to whether or not it fits the needs of your business at a reasonable price and, by finding one that does, you will get a powerful tool that can better manage leads and drive sales. If you’re looking for a great overall alternative to HubSpot that allows you to manage your sales pipeline and workflows easily at a price that remains affordable as you grow, Freshsales is your CRM. Start better managing your leads with the Freshsales free plan, or try an upgraded plan at no cost with its free 30-day trial.